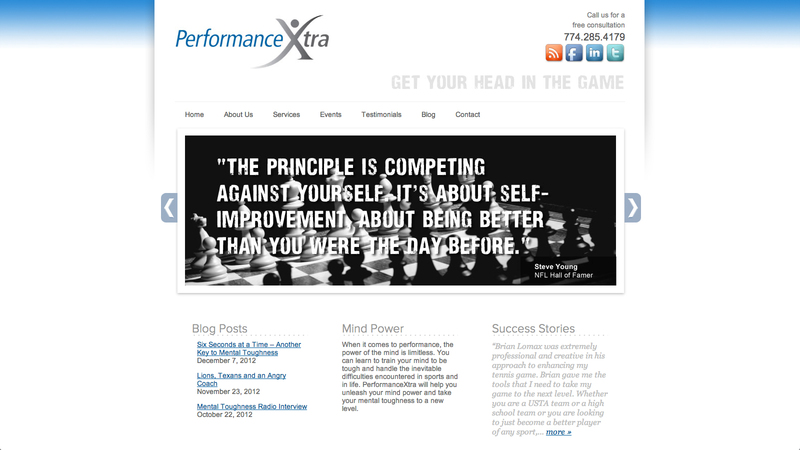 PerformanceXtra is a site focussed on helping athlete improve their mental toughness. We built a site for them to help gain visibility via searches and to serve as an online brochure for what they do. Signup for their newsletter and get tough! Visit this Mental Toughness Training website website.